Green is a very unusual color for dominoes, so this color is definitley different! The green tiles I have in stock right now are more a hunter green than a light green. Spinners and engraving are optional. 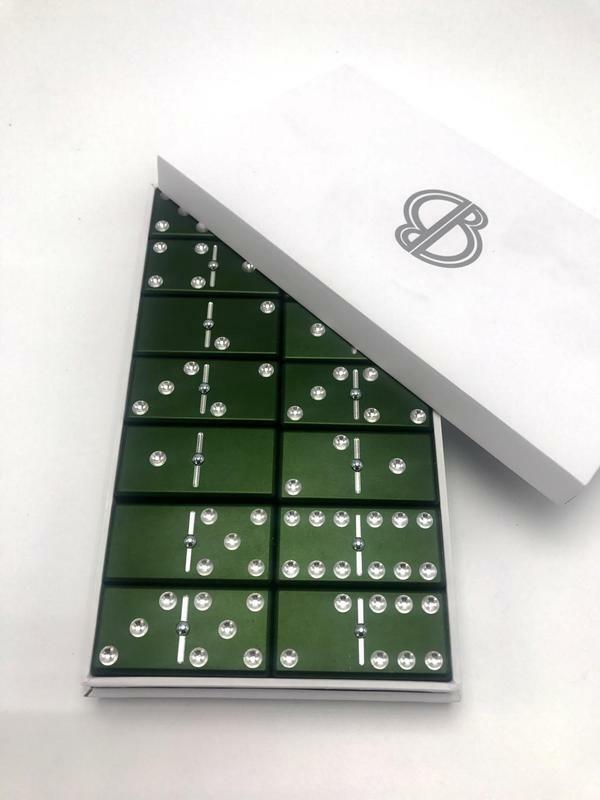 All 28 dominoes measure 1 x 2 x 1/2 and come in a white Billet Bones retail type box.